"CSI" creator Anthony Zuiker is bypassing movie theaters and going straight to the Internet with his new film. Like previous attempts by Hulu, YouTube and Netflix, Yahoo is hoping to steal viewers from television by putting original content on its website. 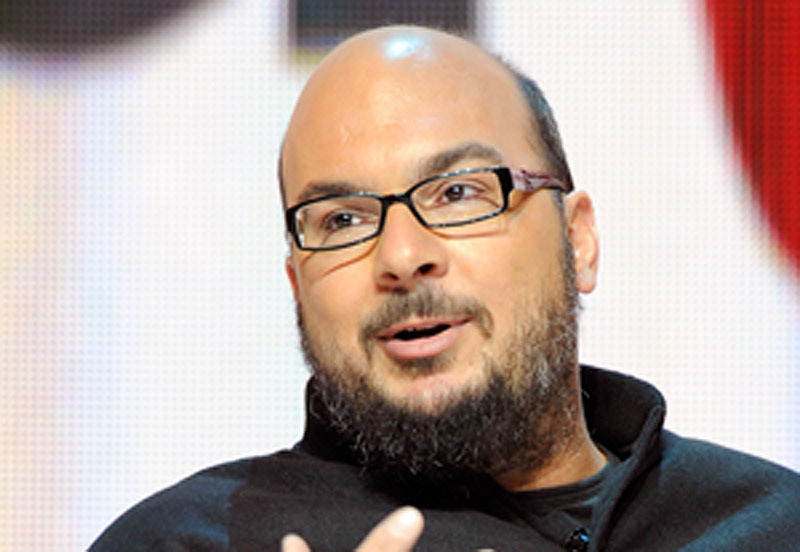 LOS ANGELES — “CSI” creator Anthony Zuiker is making a movie destined for the small screen. The creator of the hit CBS television show plans to debut the as-yet-unfinished feature, “Cybergeddon,” on Yahoo in installments this fall. His latest foray into online storytelling follows his partnership on a horror series for YouTube. It also marks Yahoo’s second stab at tapping Hollywood talent to create original online video. In January, Yahoo said a series of 20 animated webisodes developed by Tom Hanks called “Electric City” would debut on the site this spring. Many Web video companies, including Hulu, YouTube and Netflix, are pushing to put more original video content online as they compete for people’s attention with traditional outlets like TV channels. Zuiker and Yahoo consider the online movie debut to be similar to a release in theaters. “Instead of 5,000 theater screens, you can wake up to 50 million screens in one day,” Zuiker says. Zuiker is the movie’s executive producer, but hasn’t found a director or actors yet. Unlike a movie, viewers won’t be charged admission. But the movie will come with ads, including ones from the maker of the Norton AntiVirus program, Symantec Corp. The movie’s episodes may also be sprinkled through different Yahoo properties such as its finance, news and entertainment sites. Along with regular video ads, a character playing a Norton employee will have a “small but impactful” role in the movie, Zuiker says. The plot revolves around a female government agent who has a falling out with the law and is on the run herself, while pursuing a master hacker who wants to bring the world to its cyber-knees. Yahoo Inc. has been struggling to boost the revenue it gets from advertising as competitors like Google Inc. and Facebook have cut into its display ad business. It is trying especially to go after video advertisements, because advertisers tend to pay more for them than static display ads. Erin McPherson, Yahoo’s head of video, said Yahoo will distinguish itself from sites like YouTube and Hulu by creating more content like games and text to go with the videos on its different services, including perhaps its email and messaging programs. Yahoo did something similar when it put up stories about the Clinton family around the time it aired the Clinton Foundation’s concert online in October. “If you want to sign up for the ‘Cybergeddon’ experience, you could be surrounded by this storytelling on the Yahoo digital platform,” she said.